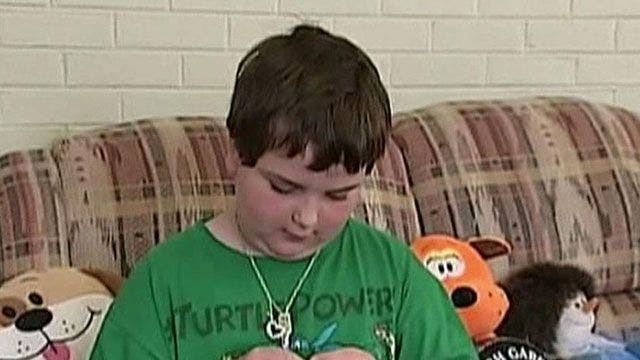 Little Girl Taken Out Of Christian School After Told She’s Too Much Like A Boy! Timberlake, VA – Sports, sneakers, and short hair; it’s what makes eight year old Sunnie Kahle unique. It’s also what had her removed from Timberlake Christian School. Her grandparents pulled the plug on her time there after they said she was no longer welcome. “She cries every morning to get on the bus, she cries when she comes home because she wants to go back to Timberlake Christian with her friends,” said Doris Thompson. Doris and Carroll Thompson are Sunnie’s grandparents. They adopted and raised the little girl and took her out of Timberlake Christian School when they received a letter from the school’s K-8 Principal. “You’re probably aware that Timberlake Christian School is a religious, Bible believing institution providing education in a distinctly Christian environment,” read Doris from a part of the letter. “How do you label a child, eight years old, or discriminate against an eight year old child? It just don’t happen” said Carroll Thompson. “Sunnie says, ‘I’m a girl, I know I’m a girl’ and she said then you know, you’re acting like and looking, and wanting to look and act like a boy” said Doris. “How do you tell a child when she wants to wear pants a shirt, and go out and play in the mud and so forth, how do you tell her, no you can’t, you’ve got to wear a pink bow in your hair, and you’ve got to let your hair grow out long, how do you do that? I can’t do that” said Doris.